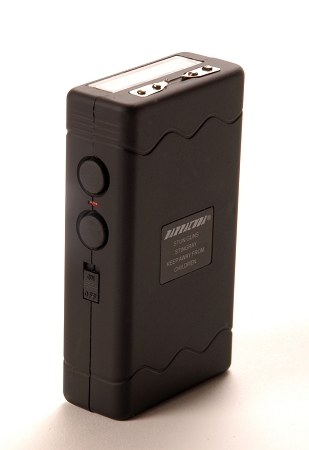 Due to overwhelming demand, we are proud to introduce the new Barracuda Stingray stun gun! 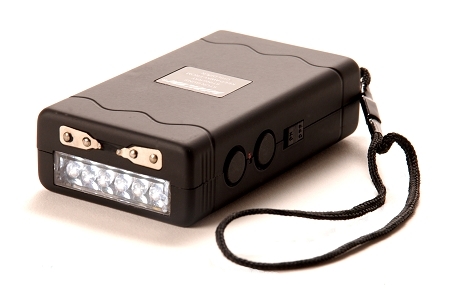 The Stingray is our first stun gun to meet our high standard that features a 6 LED super bright emergency light strip. Unlike most stun guns that feature some kind of light, the Stingray is a one switch, two button activated stun gun. Most stun guns that incorporate some form of light us a one button, one switch activation system which means that if you are using your light, and your stun gun is not ready for use. You would then have to move the switch up one more step which makes the stun gun function but turns off the light. The Barracuda Stingray uses a one switch, two button system which means that once you turn the on/off safety switch into the on position, both the stun gun and light are functional. In fact, both of them can be operational at the same time by simply pushing both down at once. 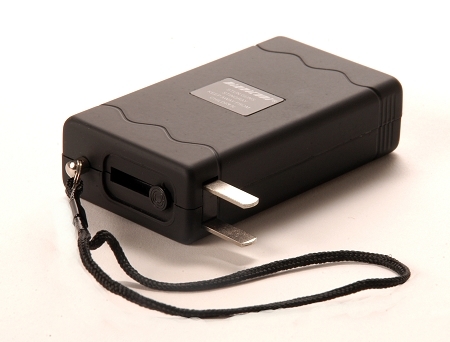 All of our stun guns have what we believe to be the most important safety feature; a safety disable pin. The pin, which has to be inserted into the stun gun in order for it to work, is attached to a wrist loop to be worn around your wrist. If someone were to take the stun gun away from you, the pin would detach, rendering it inoperable. Measuring only 3 3/4” X 2 1/4” X 1”, the Barracuda Stingray is easy to carry, conceal and fits right in the palm of your hand. In real world situations, you want to have the element of surprise. Catching the attacker off guard increases your chance to get away. Average 3000KV and 4.5 Milliamps. Safety on/off switch with two button operation, one for the light and one for the stun gun. Both can be operated at same time!